Several factors influence our clothing choices like fit, cut, fabric, colour and mood. Colour is the first factor to consider while deciding on what to wear for the day. In a colour therapy, all colours have individualistic energy levels which relate to different internal energy levels for different parts of the body. Colour therapists use different colours to balance the existing imbalances. 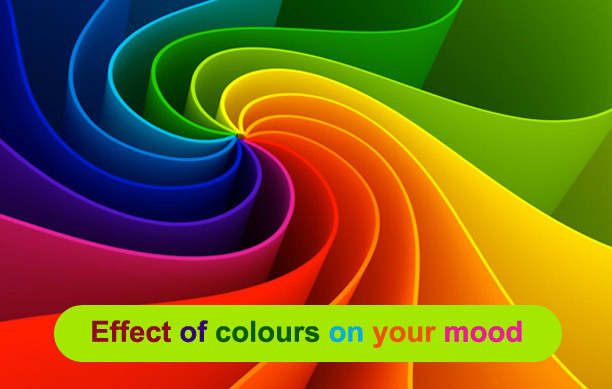 The colour you wear also affects your mood through the energy absorbed by that particular colour. Black – It absorbs light and is considered an absence of light technically. It indicates power and is slightly intimidating. Wearing black brings a sense of authority and responsibility for the observer. Blue – Indicates calming and soothing properties. In ancient times, bright blue was considered to be a sign of positivity with calmness. It stands opposite to red on the colour wheel and also has contrary effect. It is known to reduce blood pressure. Green – It’s the ‘nature’s colour’ having an instant calming and soothing effect similar to blue. The colour of new plants in spring depicts newness. Its refreshes and boosts the performance and productivity of the person wearing the colour. Orange – It is considered as a strong colour even though it is not intense red. It stimulates enthusiasm and creativity to the wearer. Pink – Like blue, it have a pacifying effect mostly found used in baby clothes. It is also known to help resolve conflicts. Red – A very strong colour depicting confidence and power. It also denotes, sexuality, passion and attracts attention. White – A symbol of peace and purity reflects all the colours of the spectrum. The wearer feels calm and composed.